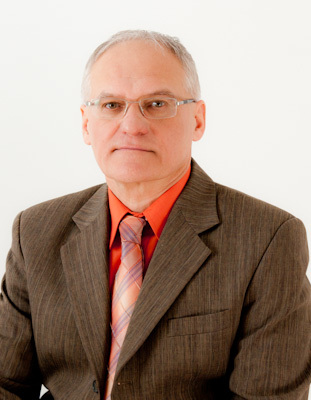 Head of the Departament of Automation and Biomechanics is Professor Jan Awrejcewicz. Jan AWREJCEWICZ was born in Telesze, Poland on August 26, 1952. He received the M.Sc. and Ph.D. degrees in the field of Mechanics from the Technical University of Lodz in 1977 and 1981, respectively. He received also his bachelor's degree in Philosophy in 1978 from the University of Lodz, and DSc. degree in Mechanics from the Technical University of Lodz in 1990. He is an author or co-author of 728 publications in scientific journals and conference proceedings, monographs (48), text books (2), edited volumes (22), conference proceedings (16), journal special issues (23), and other books (9) and other short communications and unpublished reports (381). He is now the Head of Department of Automatics and Biomechanics, and the Head of Ph.D. School on 'Mechanics' associated with the Faculty of Mechanical Engineering of the Technical University of Lodz. In 1994 he earned the title of Professor from the President of Poland, Lech Wałęsa, and in 1996 he obtained the golden cross of merit from the next President of Poland, Aleksander Kwaśniewski. He is a contributor to 50 different research journals and to 300 conferences. During his scientific travel he visited 60 different countries. His papers and research cover various disciplines of mathematics, mechanics, biomechanics, automatics, physics and computer oriented sciences.